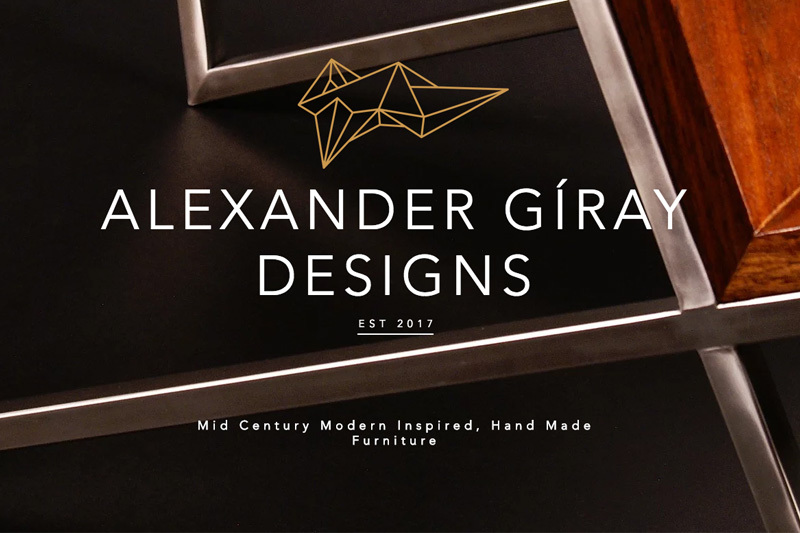 Applying self-taught skills and drawing inspiration from Danish Modernism, Alexander Giray Designs creates impeccably designed, hand crafted furniture . I have always been an artist, or at least one in spirit. My father is an avid modern arts lover, so he encouraged me to re-design and re-imagine things. I started sketching modern homes and furniture when I was a little kid. That artistic and creative thinking eventually led me into the architectural program at Miami Dade College and through many other creative ventures in my life. While navigating life’s many curve balls, I ended up a climbing guide, and that’s what brought me to Boulder. One day the need to build an end table came up, so I gave it a shot. 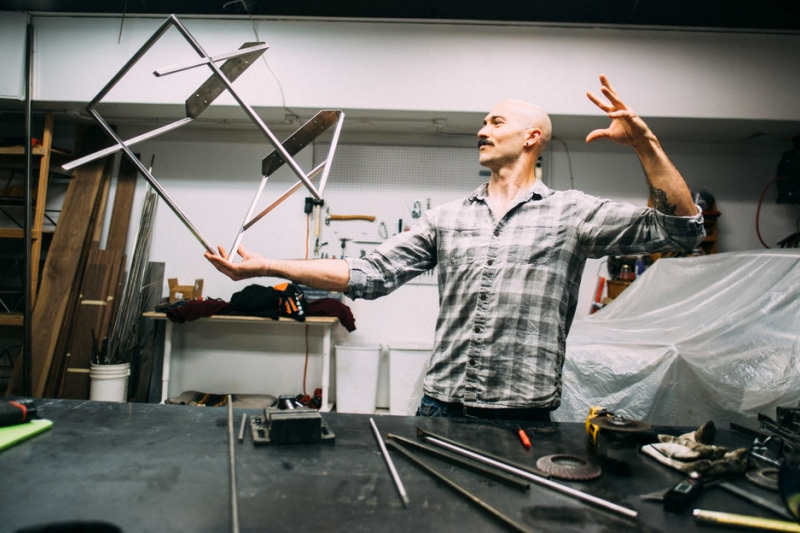 At the time, I was with ABC Kids Climbing, and Didier Raboutou showed me the basics of welding, and Karla Lankford was gracious enough to let me use her loading dock. Combine all of the above with an “I can do better” attitude, and Alexander Giray Designs was born. Whether you see it in on a rock face or in another artist’s work, inspiration can really come from anywhere. What any artist does is take that single idea and make it their own. As you can see in my style, I adore Danish Modernism. At the time, it was incredibly bold and a total departure from the norm. 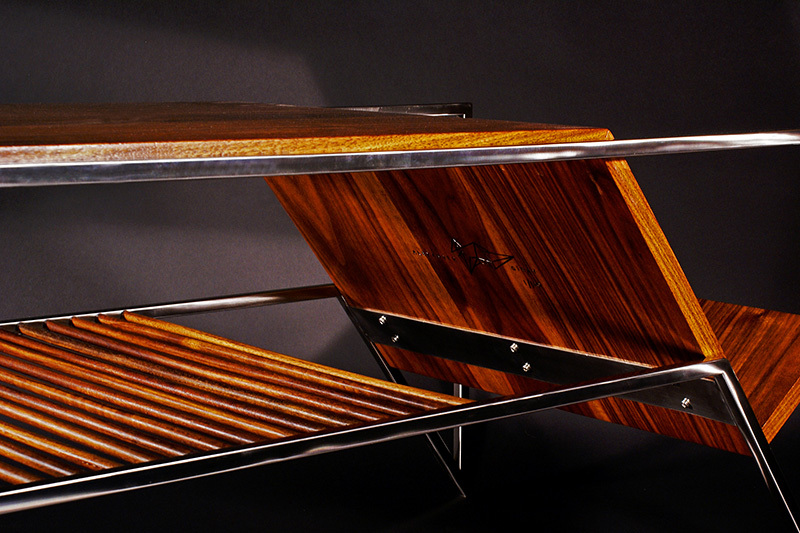 It is that spirit that I try to embody as much as I can when designing a new piece. What would you say is your signature style in your design, and what are some of your favorite creations? I tend to romanticize the past, and it definitely seeps into my designs. I think you can see that there is a slightly vintage element to everything. The trick is to make sure that it doesn’t take over the design. Sometimes it can take 15-20 variations of a design until I can find the right balance of modern, vintage, a certain boldness, and function. I love all of my creations; if I didn’t I wouldn’t have made them. What I am really excited for are the new line of floor and table lamps that I am working on. 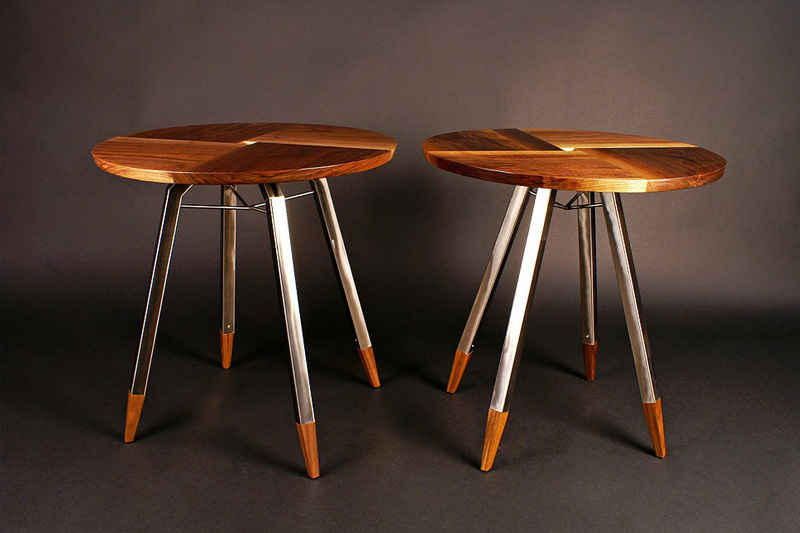 How would you define modern design? It is a mindset that is constantly re-imagining the “now” and challenging the status quo. 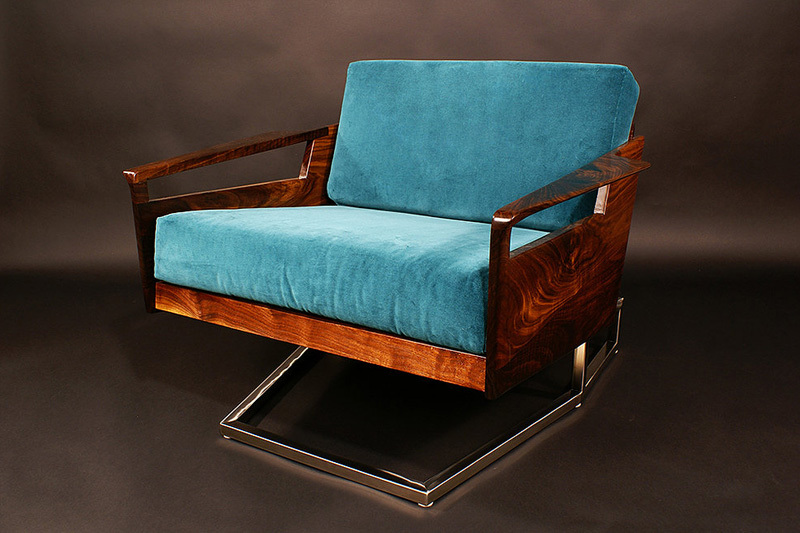 Modern design should make you reconsider what you know, inspire you, and even confuse you at times. What does being a modern design mean to you? As a modern designer, it is my job to challenge what I see around me. The Month of Modern in Boulder is doing great things in this arena to help spread the idea of modern. I hope it will continue to inspire more artists and designers in Colorado to push out of the established norms and be bold.